Report TPSI As an indicator as to possible Olympic sailing medal form in Rio, the Trofeo Princesa Sofia IBEROSTAR regatta which finished today (Saturday) in Palma revealed two absolute stand outs. France’s charismatic four times world champions Billy Besson and Marie Riou won the Nacra 17 class with a day to spare and win the overall Trofeo Princesa Sofia IBEROSTAR for the best performance at the regatta. 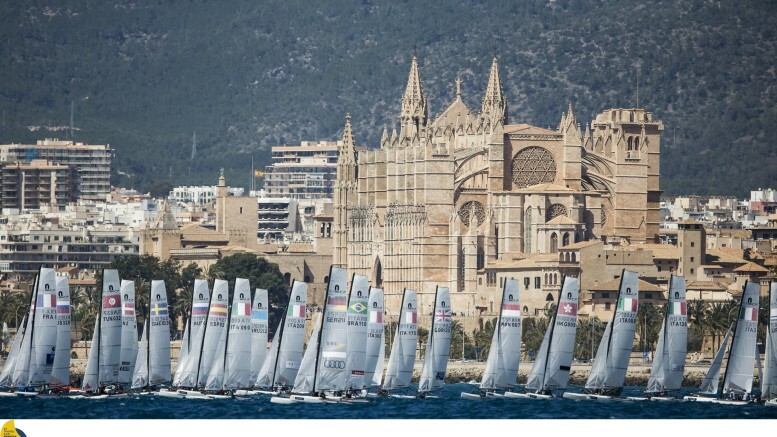 The famous Bay of Palma dealt the armada of over 800 boats competing at the 47th Trofeo Princesa Sofia IBEROSTAR a full range of different breezes, just what was really wanted by those sailors who have their courses set towards the 2012 Olympic regatta in Rio. For the first time Spain’s showcase Olympic event offered European countries their last opportunity to qualify their nation for the Olympics. For other sailors it was a selection trials event. And for very many, the traditional curtain raiser to the European Olympic classes season, was a chance to polish their skills in a high pressure, big fleets situation. Preceding as it does, the 470 European Championships on the same waters, the 49er European Championships in just over one week in Barcelona the RS:X Worlds in Mexico and the Sailing World Cup in Hyeres coming up it this Palma regatta is what is considered a vital ‘training’ rather than ‘outcome’ regatta. Billy Besson’s outgoing demeanour may contrast with that of the 470 Men’s winning helm Mat Belcher. The 2012 470 gold medallist is perhaps more reserved and wearing his clear, single minded focus on his sleeve. But both Besson and Belcher share the same incredible work ethic and quest for perfection in all that they do. Belcher and Will Ryan were outstanding as they triumphed in the 470 Men’s class by 28 points, winning seven of their total of 16 races. This week they have seemed unstoppable. After finishing fourth, behind the USA’s Stu McNay and Dave Hughes and third placed Pangiotis Mantis and Pavlos Kagialis Great Britain’s 2012 470 silver medallist Luke Patience says of Belcher and Ryan. New Zealand sailors completed a notable double in the Men’s singlehander classes. In the white hot Finn class Josh Junior brought world champion Giles Scott’s winning streak to an end. Scott’s challenge was hurt by a broken rudder fitting on Friday, but Junior sailed an accomplished, consistent series. His triumph was matched in the Laser fleet by Andy Maloney who lead from the middle of the week. Brazil’s Robert Scheidt, pursuing his sixth Olympic medal, proves he is peaking on time. After winning in Miami in January, winning today’s medal race gave him second overall. And there, too, is a message to the Laser fleet. The 42 year old is hitting form as he hoped. The Dutch pair Annemiek Bekkering and Annette Duetz closed out their win in the 49er FX class. Finland’s Tuula Tenkanen also scored her firs big European regatta win leaving Belgium’s 2012 bronze medallist Evi van Acker to second in the Laser Radials, in the 470 Women it was also the first big success for the rising Polish duo Agnieszka Skrzypulec and Irmina Mrozek Gliszczynska who clinched victory with second in the Medal race. 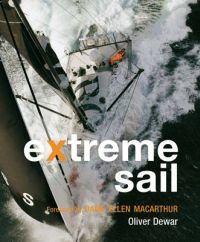 And Britain’s Tom Squires shrugged off tiredness brought on by a tough travelling schedule to win the RS:X Men while Russia’s Olga Maslivets sailed for victory in the RS:X Women.